There are a few different schools of thought as far as mobile compatibility for current website development. Details for each of these is outlined below. Include a script that automatically re-configures your website when viewed on a mobile device. Maintain two sets of webpages, one for mobile, with detection to automatically detect for smartphones and redirect the user to a different set of webpages. Maintain two sets of webpages including links on your entrance page to allow users to select mobile or PC viewing. Our Choice: Balance your website design for both mobile and PC viewing. Some hosting and website or template developer companies offer scripts and website designs that will automatically re-configure your webpages to a mobile device screen width and layout when viewed on smartphones. The scripts strip css code and stack page elements to achieve this. Users will not need to zoom your site on mobile. Unreliable on some devices causing viewing errors. Very little control of site appearance on mobile. Mobile version can appear unprofessional. Extra editing may be needed to get the look right. Updates must be tested across multiple platforms. Webpage code may be bloated. Some professionals indicate that you should maintain two websites, one with detection to automatically detect for smartphones and mobile devices and then redirect the user to a different set of webpages, and one site for PC and Mac. Better control of your website appearance across all platforms. Ability to include different content for mobile. Two websites must be maintained. Updates will take twice as long. Each update must be tested across multiple platforms. Redirect scripts can become out of date as new devices are developed. In this case you will setup two websites as outlined above, however, your homepage will include text or image links that allow users to select either the mobile or PC version of your website. Total control of your sites appearance across all platforms. Homepage with selection allows for only limited content that may affect your search engine listings. Our choice for website setup: Your website layout and code will be balanced to display properly on both PC and Mac as well as tablets and smartphones using the same set of webpages. Image, animation and script byte count should be considered, as well as page width and font sizes and colors. Site will look about the same in all browsers on all devices. Only a single set of webpages needs to be maintained. Maintenance for your site will be less involved. 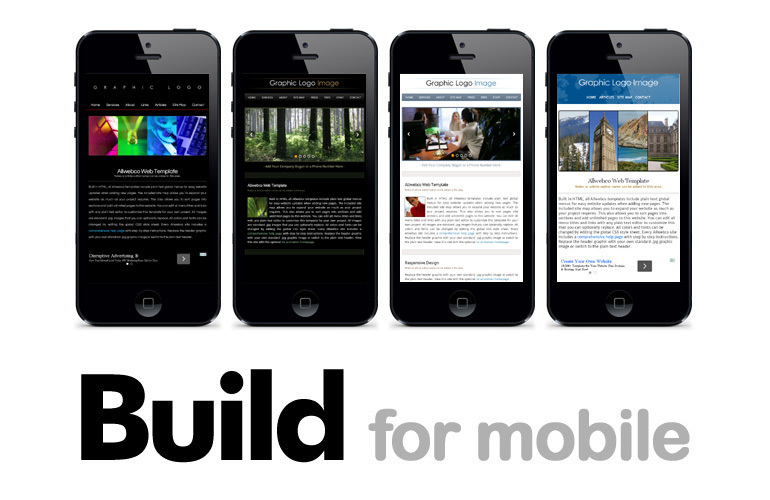 The recent trend toward larger smartphone screens means better display for normal websites. Page width will generally be less wide. More attention to keep images small for faster page loading. Areas of your site may need to be zoomed on some devices. Keep the total minimum page width around 750 to 850 pixels. Keep the number of images and scripts low, and small in byte count. Test all sites on mobile and tablet for compatibility. Include detection for any Flash areas. Videos should not be included on the homepage. See also Mobile Compatibility in support. "Allwebco Design is dedicated to providing our clients with website designs optimized for viewing in the widest variety of web browsers and devices." Allwebco offers a large selection of "complete" website templates built specifically to allow for the highest mobile compatibility and balance on PC and Mac, tablet, smartphones and other mobile devices. Our design include multiple pages, drop menus, contact forms, image galleries, video pages, PDF download pages and more all built right into the designs. No other company offers these types of complete websites at such low prices. See our template features page for more details. We offer a large selection of both HTML5 mobi-Hybrid website templates and HTML5 sites configured for tablet. 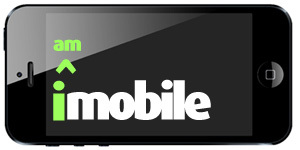 Additionally, every design we offer is optimized for and tested on all popular mobile devices. See the Looks Great On Mobile support page for more details. We are constantly updating our websites as well as developing new designs to keep pace with current PC and Mac as well as mobile technology. All designs are W3C complaint to allow our clients to enjoy the most current "best practices" web standards for any website project.